Crack the eggs into a cup, and whisk together with a fork. This should fill the cup up halfway. If not, add some water. Pour oats into a nonstick pan, and then add the eggs. Turn to up to medium-high heat and stir well. When the mixture begins to bubble turn the heat down to low. The oatmeal porridge is done it is no longer glossy and all the liquid has been absorbed. 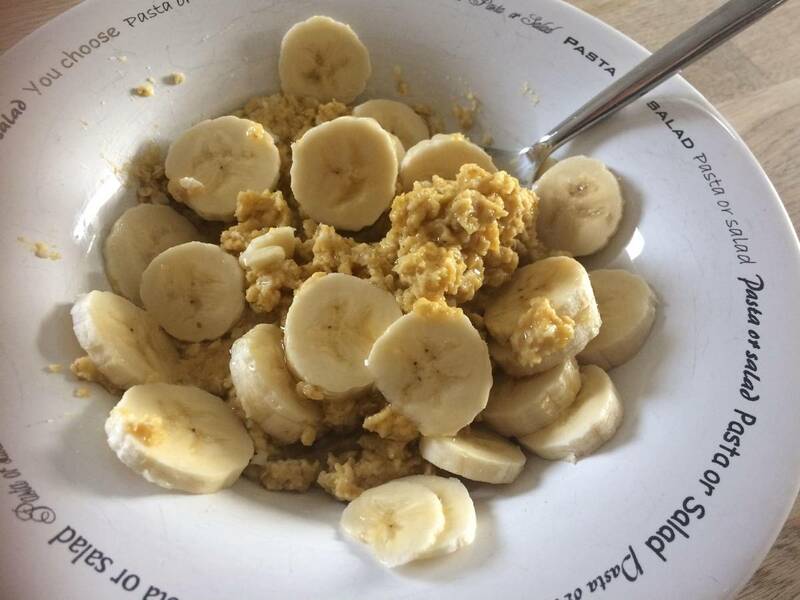 When done, pour the oatmeal porridge in a bowl. Top it with banana and some honey.